To install, just download and run. If you are on Windows 10 - you need to right-click and "run as administrator". If you already had the service installed, you may need to stop it to install a newer version. 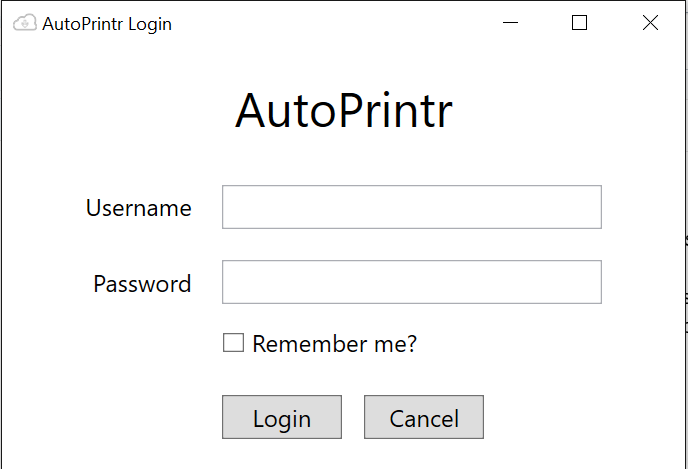 If this window does not pop up after installation, navigate to the system tray and right click on the AutoPrintr icon and select login. 2. After logging in we recommend checking the "Add to Startup" and "Run the Service" checkboxes so that AutoPrintr starts up when the OS logs in. 4. All done - now when you click print in the Web App, jobs will auto print to the right place! You are able to access the Logs and Jobs at any time by right-clicking on the AutoPrintr icon in the system tray. Left clicking will pull up the "Settings" window automatically. If you have just installed the service and it is not printing despite triggers being active, please restart the computer. We know it sounds silly, but this has worked for many Users as sometimes Windows requires a restart for a service to begin running. 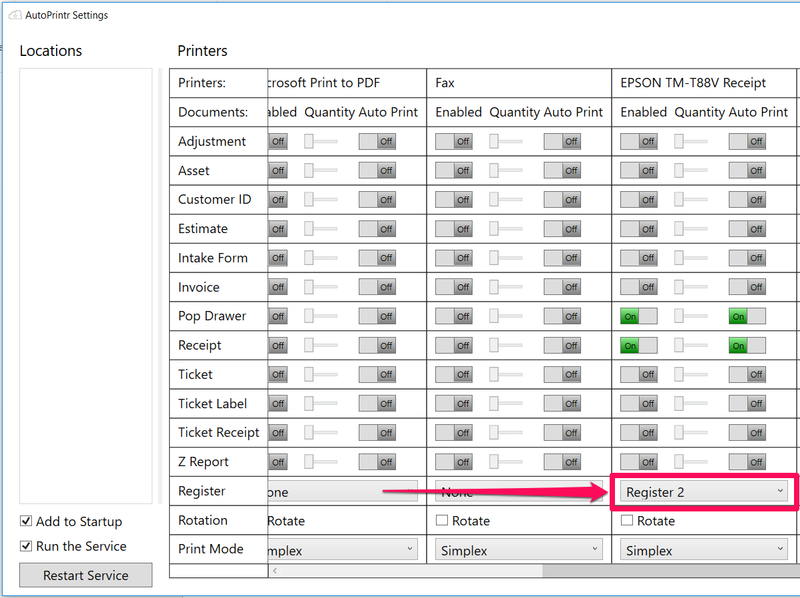 First, open up your Control Panel and navigate to Devices and Printers, then right-click on your receipt printer and select "Printer Properties". Please make sure that both of the cash drawer settings in both the "Preferences" area as well as the "Printing Defaults" area are the same. Once that's all set up, Apply it all and then set up your printer in AutoPrintr if you haven't already and print a receipt. 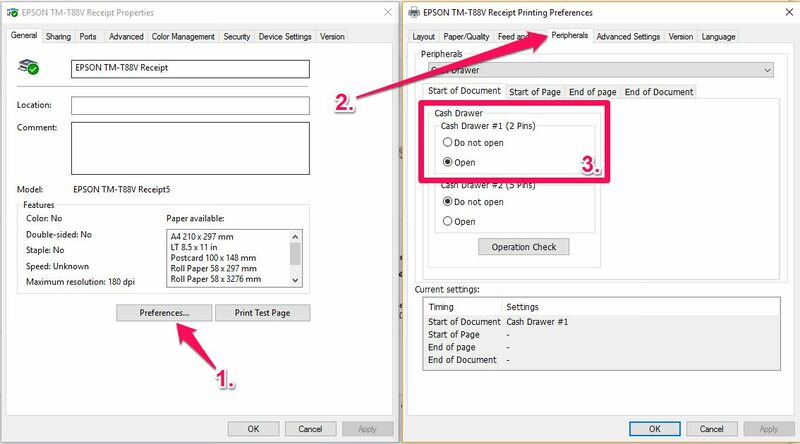 If the drawer pops when you print a receipt but does not pop when you click on the “Pop Drawer” button on the POS tab, you will have to configure your register in RepairShopr as well as AutoPrintr. If you do not see your Register in that drop-down area, you may need to log out of AutoPrintr, close the program, and then re-start it by right-clicking on the icon and selecting “Run as Administrator”. Then log in and check to make sure the Register is included in the drop-down menu. 1. Close out of AutoPrintr by right-clicking the icon on the taskbar and selecting "Exit". 2. Navigate to: C:\ProgramData\AutoPrintr and right-click on that folder, then select "Properties"
AutoPrintr uses your printer driver settings to adjust the size and orientation of the labels, so adjusting the settings will be the first step. In Windows you can navigate to Control Panel > Devices and Printers to get to your printer, then right-click. 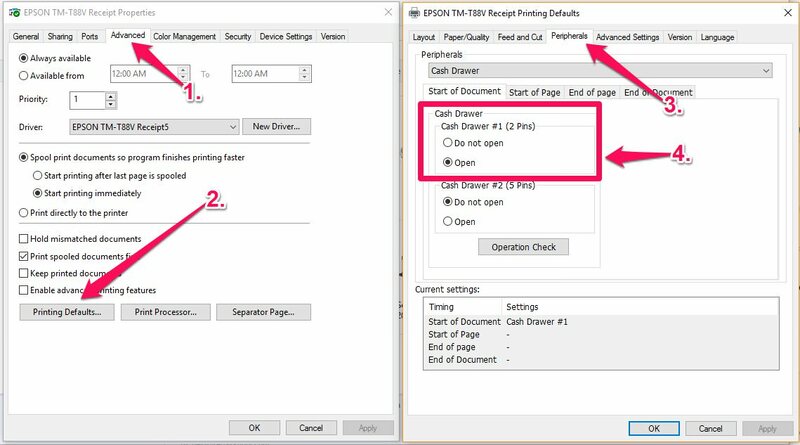 You may also want to try a complete re-installation of your printer driver if you cannot find the proper sizing/orientation settings. Starting off with a clean installation of your printer driver and AutoPrintr will be the best way to begin troubleshooting as you'll be starting off with a fresh. 1. 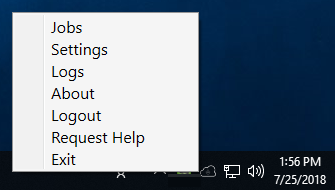 Stop the service by opening up your start menu and typing "Services", then hitting enter. You should see the Windows Services menu with a list of all of the services currently on Windows. 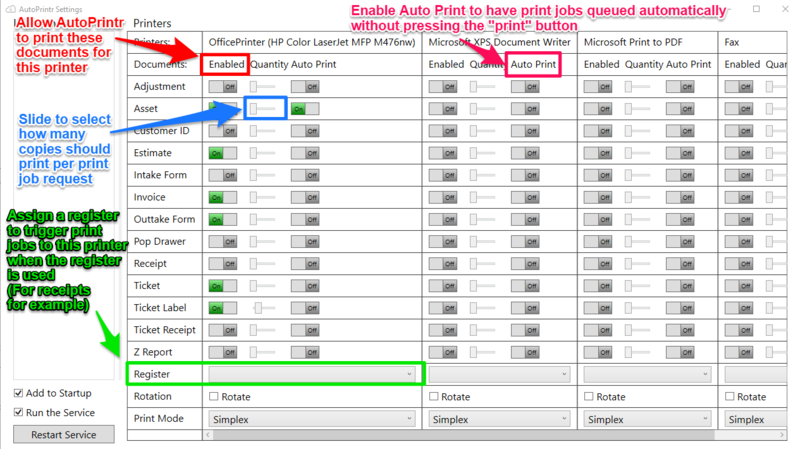 Find the "AutoPrintr Service" option and right-click it, then select "Stop" from the list. If it is already stopped or you don't see the service, then you can continue on. Otherwise, make sure the service is stopped before continuing. 2. Uninstall AutoPrintr via the Windows "Control Panel > Uninstall a Program" option. Find AutoPrintr in the list of installed programs and uninstall it as you normally would. 3. Remove any remaining files (important!) by opening up your start menu and typing "run", then hitting enter so the "Run" dialog box pops up. Type "%programdata%" (without the quotation marks) in the"Run" box and hit enter. A file explorer window will open up with a list of folders. Find the "AutoPrintr" folder and delete it. If there is no "AutoPrintr" folder shown, then make sure you are searching this directory: C:\ProgramData. If you are in that directory and you still cannot find the AutoPrintr folder, then you can continue on. 5. Download the newest version of AutoPrintr by navigating to the top of the page and clicking the download link. 6. 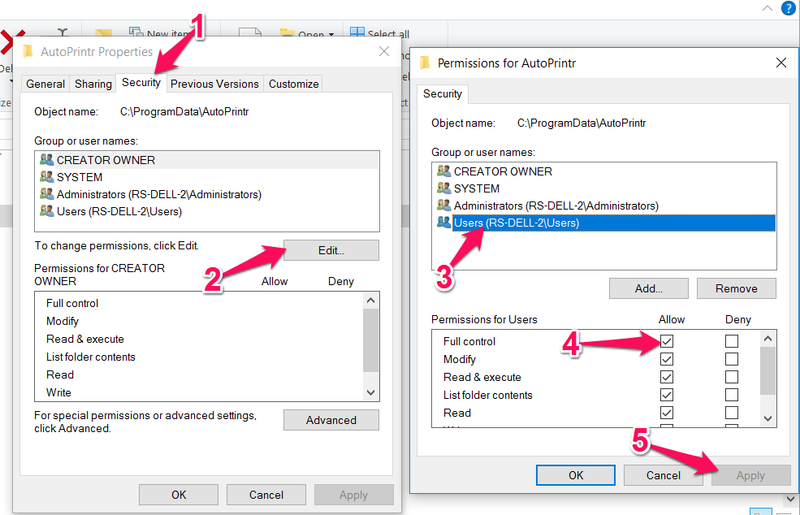 Run the installation file by navigating to where it downloaded, right-clicking and selecting "Run as Administrator". 7. If you have a strict anti-virus or web filter, now is the time to create an exception for the AutoPrintr program, or you can temporarily turn it off. You'll want to create exceptions for two files named "AutoPrintr.exe" and "AutoPrintr.Service.exe", both usually found in: C:\ProgramFiles(x86)\RepairShopr\AutoPrintr. 8. Start AutoPrintr. 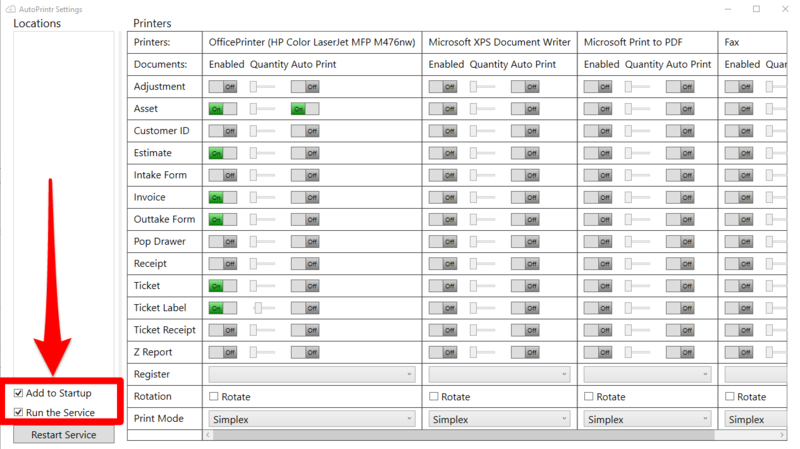 Log in and test configuring your printers as well as printing from the software.